Grammy award-winning Conspirare will perform the moving choral work October 12 at the Festival Concert Hall. In conjunction with the 20th anniversary of the brutal murder of Wyoming college student Matthew Shepard, Grammy Award-winning Conspirare are set to perform “Considering Matthew Shepard” Friday, Oct. 12. It is important to note who Matthew Shepard was and how he became an enduring symbol after his death. Shepard was a gay student at the University of Wyoming in 1998 when he was kidnapped by a pair of local men who lured him by pretending to be gay. After enduring brutal torture, he was left tied to a fence post in the middle of nowhere to die alone. There he hung like a scarecrow for 18 hours before being found alive and taken to a local hospital where he sadly died five days later. Such a violent and tangible expression of hate against the LGBTQIA+ community left a scar on the nation and turned the slain 21-year-old into a symbol. 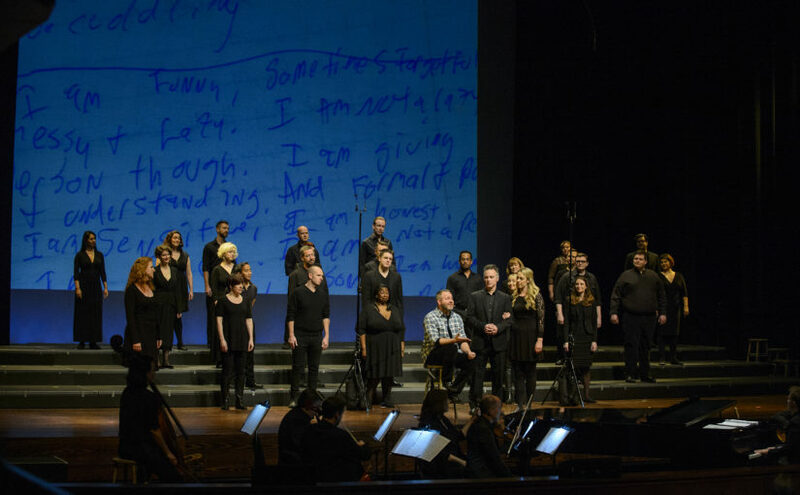 “Considering Matthew Shepard” is a moving choral work by Craig Hella Johnson. Student outreach director Danica McDonald described the piece as “a powerful performance that not only tells the story of Matthew, a college student just like we are, but also has themes of acceptance, mercy and human connection.” McDonald added the work blends music from multiple genres including jazz, pop and blues. As part of the event, booths from multiple area and campus Pride organizations will be set up in the atrium outside of the Festival Concert Hall to discuss LGBTQIA+ issues with concertgoers.